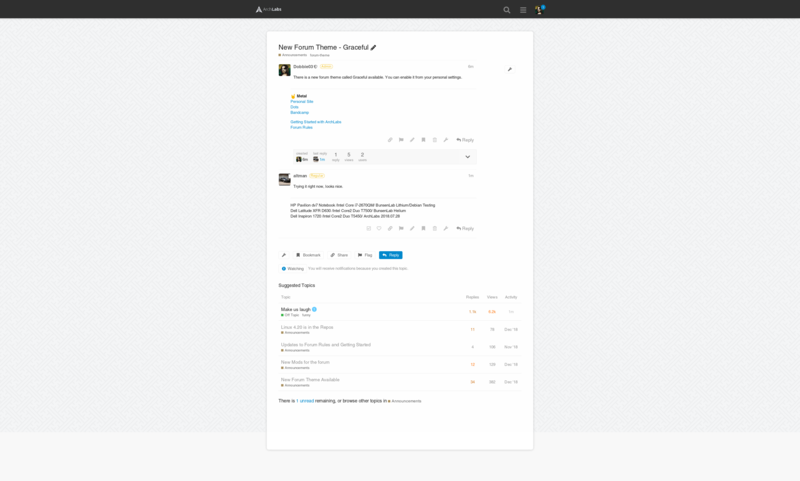 There is a new forum theme called Graceful available. You can enable it from your personal settings. Trying it right now, looks nice. There are some changes as well, just noticed them . Just switched over; very good first impression. I’m really liking it. Clean and easy to read.